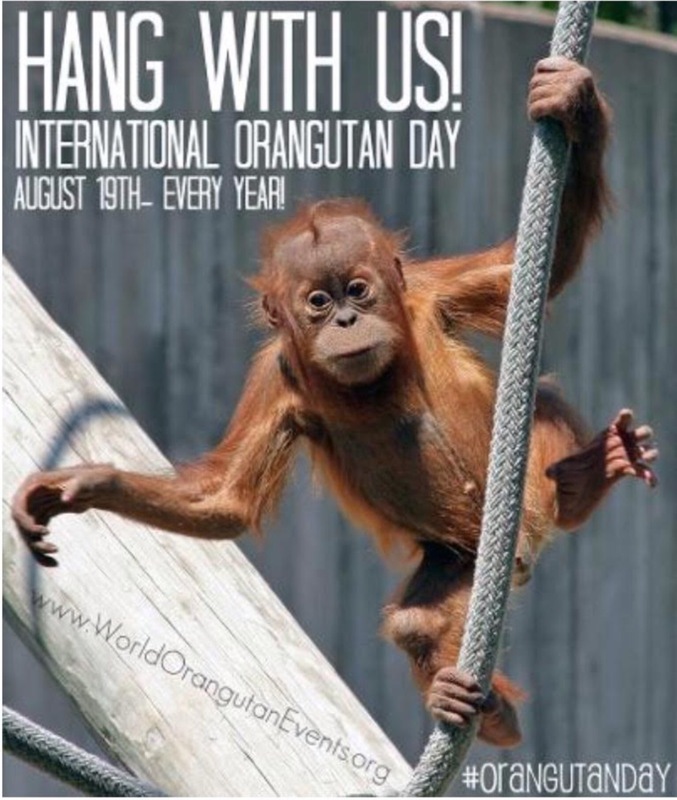 The Orangutan Gang is celebrating International Orangutan Day on August 19th by paying another visit to Zoo Boise! When I contacted Rena Ashton on July sixteenth after mentioning her in an email to the Association of Zoos and Aquariums, she let me know about this conservationist holiday and suggested that I again host a palm oil awareness station. International Orangutan Day is a conservationist holiday intended to encourage efforts to save the rainforest. As before, I’ll be carting posters, flyers, products, and my mascot (baby Bert, see The Orangutan Gang at Zoo Boise). I’ll also bring business cards to Zoo Boise to hand out to those interested in spreading the word. Last time I visited, I handed out over a hundred flyers and many zoo visitors looked at my website after getting home. Spread the word on International Orangutan Day to save the rainforest! Thanks!